Finding great breaded products are a challenge in deed. I love this breaded Flounder- it’s light and tasty. 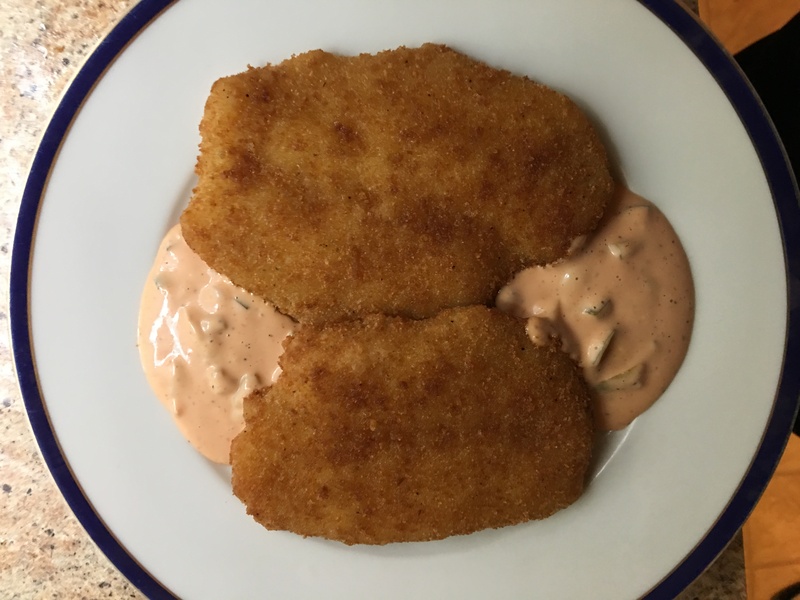 Serve with a tarter sauce or mix some ketchup and Mayo together with some chopped pickle. Also makes an awesome fish sandwich. Cooking instructions: From frozen- separate fillets- then bake in a preheated 400°f oven for 12 min then flip and bake 12 min more. INGREDIENTS: Flounder, Enriched Wheat Flour, Water, Bleached Wheat Flour, Modified Corn Starch, Yellow Corn Flour, Salt, Sugar, Whey, Partially Hydroginated Soybean Oil, TBHQ (to protect flavor), Yeast, Calcium Propionate (to protect freshness), Spice Extractive, Fried in Canola Oil.